2 February 2007: Public school systems in the United States are traditionally run by elected Boards of Education, commonly known as school boards. Generally, a school board sets educational policy for a school system and hires a superintendent to administer that policy. In American suburbs, students in public schools generally perform well academically, and the effectiveness of the traditional superintendent-school board approach to governance is not questioned. However, in American cities, where children in public schools often fail to read and do math at basic levels, mayors increasingly seek control of schools. Frustrated by decades of poor performance by students and infighting and inertia among superintendents and school boards, many mayors want state governments and city councils to give them the ability to bring about the sweeping structural overhaul they say the school systems in their cities require. The traditional superintendent-school board structure was established in the 1800s to insulate schools from corrupt city politics. Supporters point out that it is a very democratic governance structure. School boards enfranchise parents, especially minorities, and increase accountability because citizens can take their case directly to the school board. Opponents of the traditional governance structure argue that members of school boards often possess modest skills, are very conflict-prone, and cannot work in partnership with superintendents. They assert that mayors, knowing that voters can hold them directly responsible for school progress, will provide essential management and financing assistance. Mayors should be accountable for schools just as they are for police, fire, public works, housing, and other municipal services. Jackson, Mississippi. The mayor appoints the school board, and city council confirms the board. This system, in place since the 1950s, predates the current trend toward mayoral control. 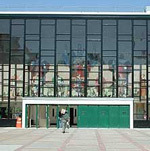 Jackson public schools enroll 32,000 students. Boston, Massachusetts. A petition submitted by the mayor and city council allowing the mayor to appoint a seven-member school committee, which then names a superintendent, was approved by the Massachusetts legislature and governor in 1991. Voters reaffirmed mayoral control in 1996. There are approximately 58,000 students in the Boston public school system. Chicago, Illinois. The US’s third-largest school system (435,000 students) has been under mayoral control since 1995. Illinois state law allows the mayor to appoint seven people to the Chicago Board of Education without city council approval. Baltimore, Maryland. Since 1997, the mayor of Baltimore and the governor of Maryland have jointly appointed school board members. There are more than 85,000 students in Baltimore public schools. Cleveland, Ohio. Since 1998, the mayor has had the power to appoint all nine members of the school board. At least four of the nine members must have significant experience in either education, finance, or business management. Cleveland voters reaffirmed mayoral control in 2002. About 60,000 students are enrolled in Cleveland’s public schools. Harrisburg, Pennsylvania. The 10,000-student school district has been under mayoral control since 2000. A five-member board of control, appointed by the mayor, acts as the governing body of the system. Philadelphia, Pennsylvania. The Pennsylvania state legislature took control of the Philadelphia public school system in 2001. A five-member commission was created to replace the city’s former school board, with two members appointed by the mayor and three named by the governor. The system serves 200,000 students. New York, New York. The largest school system in the United States serves about 1.1 million students. 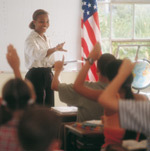 The New York state legislature gave the mayor full control of the schools in 2002. Providence, Rhode Island. Since 2003, the mayor appoints a nine-member school beard with the approval of city council. The school system consists of approximately 25,00 students. Los Angeles, California. The California legislature gave the mayor of Los Angeles partial control of the nation’s second-largest school system (730,000 students). The law was to take effect 1 January 2007, but a judge ruled in December 2006 that it violated the state constitution. The mayor is appealing that decision. Mayors in Washington, DC, Seattle, Washington, and Albuquerque, New Mexico are also actively seeking control of the public schools in their cities. The few studies of school systems controlled by mayors generally show modest but statistically significant improvement in student academic performance since mayors took control. Yet, the number of city mayors clamoring to take control of schools is very small. Generally, the impulse comes from big cities where schools are perceived as so monumentally ineffective that any way to change the system seems worth a try. Most mayors, especially in smaller cities, clearly do not want responsibility for schools and prefer to work with the school broad and superintendent as partners. Many mayors across the US are counting on reforms such as charter schools and small-size schools to make a difference. In any event, most mayors would find it nearly impossible to get approval from the state governor, state legislature, and city council to change the school governance structure. While most everyone agrees that urban public schools in America are dysfunctional, there is no consensus among mayors, educators, parents, and legislators that mayoral leadership can benefit every city or every school system. In 2006, the California Legislature approved a US$55.1 billion budget for the state’s public schools. This represented a record increase of $5.1 billion over the previous year’s state education budget. Taxpayers in California supported the record spending increase because it promised to restore music, art, and physical education programs; hire guidance counselors; expand teacher recruitment and preschool programs; and buy new textbooks. These promises were fulfilled  but less than half of the spending increase was devoted to them. Most of the money paid for new or expanded social services: programs to discourage gang membership, treat AIDS, prevent cigarette smoking, provide childcare to teenage mothers, and the like. This is the new reality of public education for children in kindergarten through grade 12 in America. Schools are becoming the social safety net for students and their families.